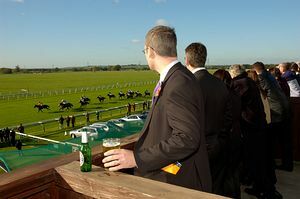 The course is less than five minutes from the pretty market town of Huntingdon set in the heart of the Cambridgeshire countryside, and is home to 19 Jump race meetings, spanning 9 months of the year. Extensive hospitality, advertising and sponsorship opportunities make it a day to remember. 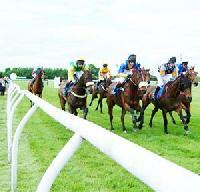 Accompanied children aged 18 and under can come racing for free. 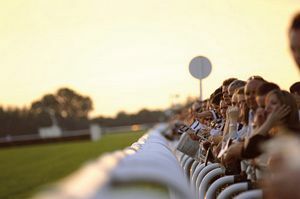 At Huntingdon Racecourse we have one main enclosure where you can enjoy access to all the racecourse facilities whilst enjoying great views of the National Hunt racing and the parade ring. We have a range of bars including the newly refurbished Champagne and Seafood Bar, overlooking the parade ring and Bevan's Bar, with a great view of the racing track. There are also various food outlets including the John Smith's Bar and the Hurdles Bistro where you can enjoy hot dishes of the day and snacks. On selected Bank Holidays and weekends this enclosure will also include free children's entertainment. Please note that you are unable to bring pre-purchased food and drink into the main enclosure. With your car parked close to the rails you can get no closer to the action. This enclosure is only open on selected weekend and Bank Holiday fixtures. Dogs are permitted in the picnic enclosure however they must remain on a lead at all times, and must not be left unattended at any time. Ticket upgrades for the main enclosure are available to purchase on the day, however please note that you are unable to bring pre-purchased food and drink into the main enclosure. Please note that Children's entertainment is not provided in this area. 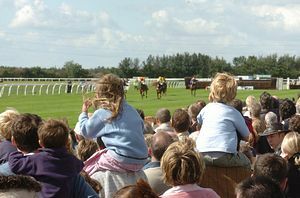 Huntingdon Racecourse is situated half a mile from the A14 Junction 22. The A14 links with the A1, M1, M11 and M6. This allows for easy access from the North and South, along with the West Midlands and East Coast. 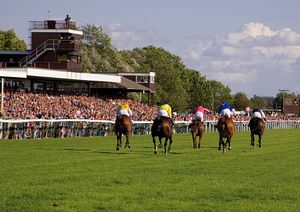 The nearest station is Huntingdon which is on the main line from Kings Cross London and is approximately 2.5 miles from the racecourse.